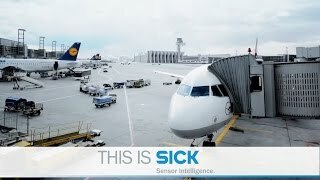 For more than 70 years, SICK has had proven success in industrial automation, due to its reliable, long-term thinking, actions and embodiment of technological sustainability. 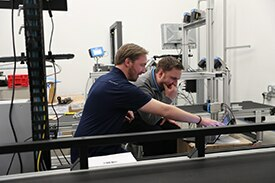 We continuously develop our key technologies in a range of directions while maintaining their compatibility with one another – all for the benefit of our customers. We are also focused on the value of permanently investing in the further development of our staff: in the service sector just as much as in all our industry sectors. The responsible use of materials and resources, as well as environmentally friendly disposal and recycling concepts, have always been important to us. We do everything we can to make sure that our employees always feel at ease with us and are able to find a harmonious balance between their family and professional lives. You can rely on it. Tomorrow and always. Independence ensures the freedom necessary for the professional growth and development that gives rise to innovation: targeted improvements to products, processes and structures. For us, Leadership goes beyond markets and technology to embrace the ongoing development of our management culture. International networking places high demands on good management and constructive cooperation. Trust is the vital basis that allows us to put our core values into practice in our everyday lives and allows us to develop. We prize and respect cultural differences and are open to the opinions and perspectives brought by other cultural traditions. Respect in our interactions with one another is self-evident for us and forms the foundation which we can work together to overcome our challenges. Skilled employees are the key to success. All the facets of advanced training at SICK come together with SICK University. Thanks to measures that address their individual needs, our employees have a wide range of opportunities to continuously improve their qualifications. 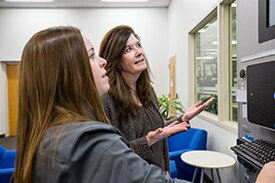 We also value continuous learning and encourage our employees to seek development opportunities outside of SICK such as seminars, tradeshows, and certifications. We take your health very seriously. Our mission is to promote a worksite culture that is supportive of opportunities that positively impact employees’ well-being by providing well-rounded programs that encourage growth and awareness to thrive in all five element: physical, social, financial, community and career well-being.. We take comprehensive measures to offer every one of our employees the best possible working conditions. In addition, we help all our employees make the best use of the individual ways in which they can preserve or restore their own state of health. If you give a lot, you get a lot back. In 2018, our corporate headquarters in Germany (SICK AG) was ranked as one of Germany's best employers for the 16th time in a row. This means that we are one of only two companies to have taken part in the competition and to have been placed among the top 100 every single year. SICK AG achieved first place in the category of enterprises with 2000 employees or more. 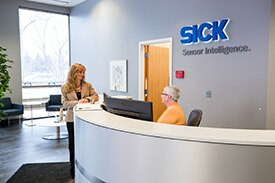 SICK was also voted one of Europe's top workplaces in the Great Place to Work® competition in 2012: Our group achieved 10th place in the “Multinational Workplaces” category. In all, 1,541 companies from 18 European countries entered the competition. In 2018, SICK USA was also ranked as a Great Place to Work for many reasons, including for our culture and values. We are very proud of these results as they confirm our mission as a company and give us the incentive to keep headed in the same direction.